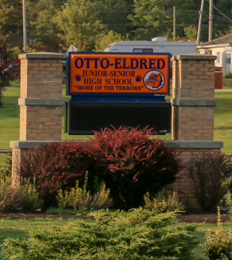 At Otto-Eldred High School, we provide a high quality education for families in the Otto and Eldred Townships. Serving approximately 325 students in 7th through 12th grade, we offer a wide range of courses and extracurricular opportunities to prepare each student for the workforce and beyond. We encourage you to browse this section to learn more about what makes our school and faculty exceptional.